In a clipping from a 1914 edition of The New York Times, it is reported that dancer Paul Swan collapsed in the middle of the stage during his vaudeville debut. 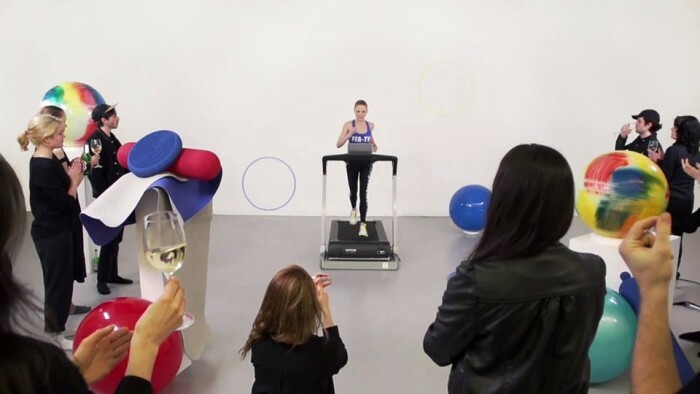 Almost a century later, on the evening that Simon Denny’s most recent exhibition opened at Friedrich Petzel Gallery, a perfectly aligned row of freestanding double canvases imitating flat-screen television sets crumbled like dominoes after a visitor inadvertently knocked them over. Like the seven paintings on duty that night, the performer billed by the press as “the most beautiful man” soon returned to the stage, put back on his feet by assistants, and finished his number to ecstatic acclaim. Appropriately opening with a physical collapse in the gallery, Denny’s first solo exhibition in New York drew its material from two market crashes. 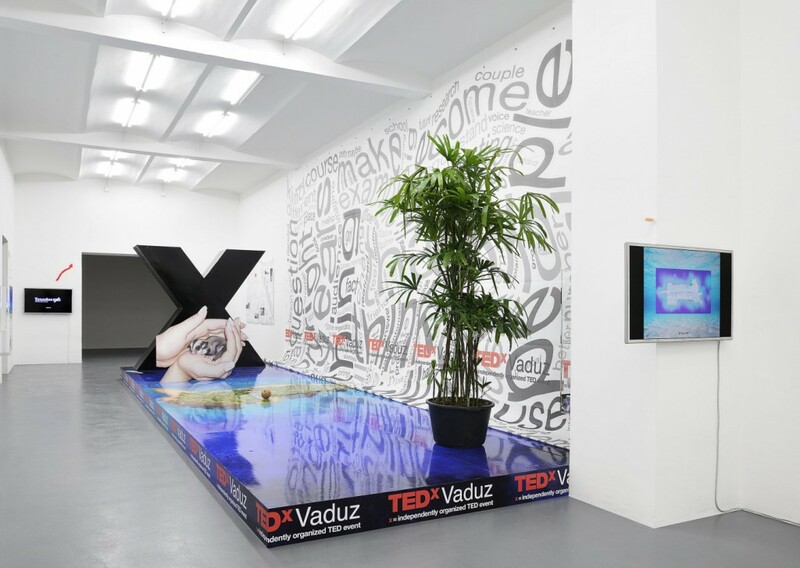 “Corporate Video Decisions” is the title of similar exhibitions he presented at Michael Lett gallery in Auckland, New Zealand, and now at Friedrich Petzel in New York – but also that of a trade magazine from the late 1980s, circulated to corporations to help them boost consumer confidence using video after a market meltdown. 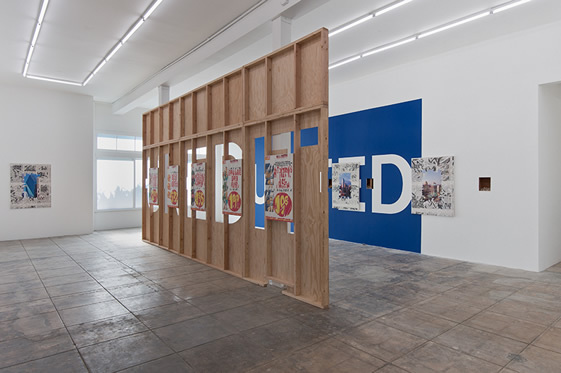 In addition to a company website called Diligent Board Portals offering “paperless solutions” to corporate boardrooms, the defunct magazine provided images and text that Denny appropriated for works shown at Petzel – digital prints on canvas, videos, and found objects tracing an arc in time between the current recession and one that took place some 20 years ago. 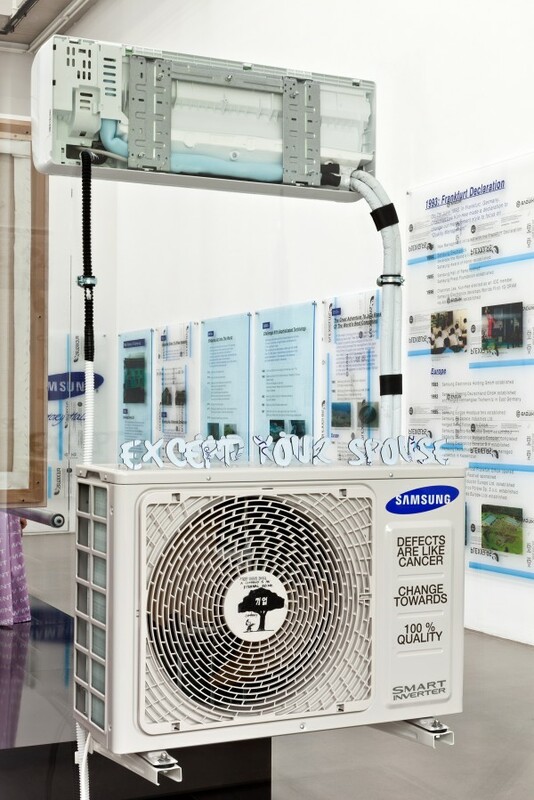 In the video “Corporate Video Decisions Archive Interface Design” (2011), played onto a Samsung LN46C750 46-inch monitor at the entrance of the gallery, one recession is literally dragged and dropped into the other. Produced with the help of a corporate DVD designer, the video is based on Cover Flow, an animated, three-dimensional graphical user interface integrated within iTunes and other Apple Inc. products for visually flipping through content. Loaded with a digital archive of the magazine Corporate Video Decisions, Denny’s video endlessly cycles through issues of the publication as one would through a collection of mp3s. Like a rare album downloaded from an obscure blog, the colorful 1980s graphic design and zany creative photography of the cover pages were imported into a familiar interface – not just that of Cover Flow, but of Denny’s work, in which the creative subjectivity of the artist virtuosically hearkens back to the artist’s role as a consumer free from the needs of production. When iTunes abstracts physical records into digital files, it merely reflects what Joseph Schumpeter called “creative destruction,” a moment in which a part of the economy falters to make room for growth and innovation elsewhere – Cover Flow is one such digital music venture that was born from the demise of physical records. Denny’s work often functions by latching onto such economic cycles of obsolescence to generate artworks. If those who lose their jobs during a recession usually have to settle for lesser pay elsewhere (that is, if they can find work at all), outdated objects like records, books, and electronics can greatly appreciate on niche markets kept afloat by collectors and hipsters. Something like this is happening when a television set thrown onto the curb or a defunct trade magazine becomes a painting or a sculpture in a gallery. 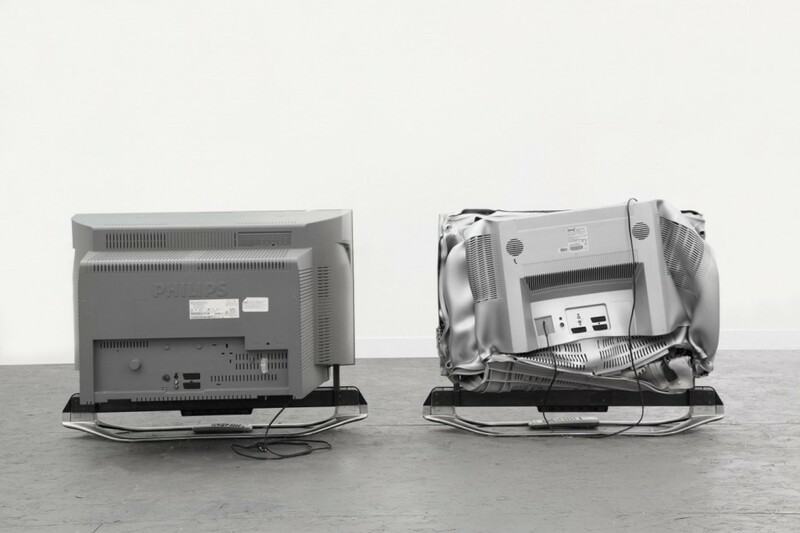 For a residency, Denny once transformed photographic reproductions of an art center’s complete inventory of audiovisual equipment (including many outdated CRT monitors and VHS players) into relief paintings – a set of two canvases printed with the same photographic image of the television and superimposed using metal fittings adjusted to the real object’s thickness. 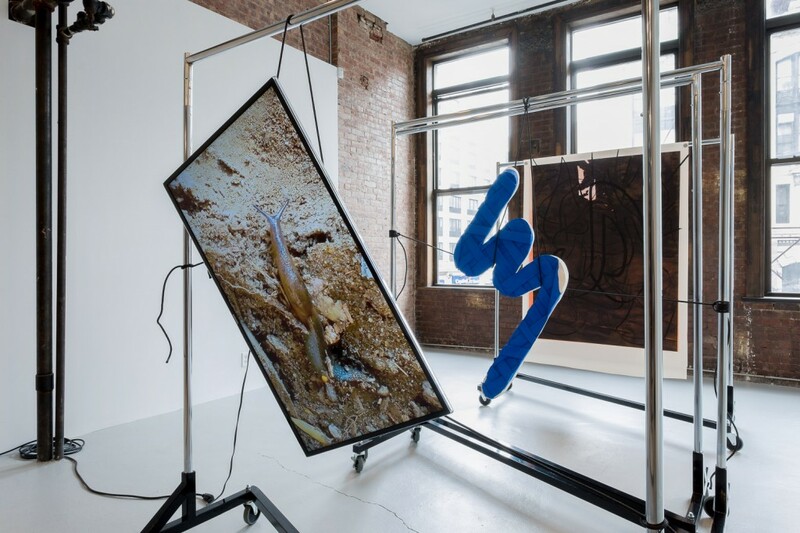 Produced using still images of the Samsung monitor hung in the same room, seven such canvases were shown freestanding on a drop cloth of transparent plastic at the center of Petzel’s exhibition space. Organized by the rigid architecture of Cover Flow, each canvas was an austere and cold, yet jazzy collage in which images of Corporate Video Decisions’s (the magazine) cover pages hovered above smaller images of their own content, which formed a tapestry in the background. Their display in a row formation was reminiscent of the production chain, or perhaps a waiting queue at the Social Security office – after all, aren’t these paintings literally just televisions that don’t work? As the multiplying signs of social unrest amidst depressed economies and high unemployment may be demonstrating for the nth time at the moment, what we call “work” today is also, if not mainly, a means to keep bodies from doing something else. Typically at home in front of the TV or staring at the wall, the unemployed body is a sort of toxic asset whose destructive potential must be managed for the existing order to prevail. For “Decommissioned Trading Table/Workstation” (2011), a desk obtained from a recently bankrupt German corporation was disassembled piece by piece and hung on the wall to resemble a depressed financial graph. 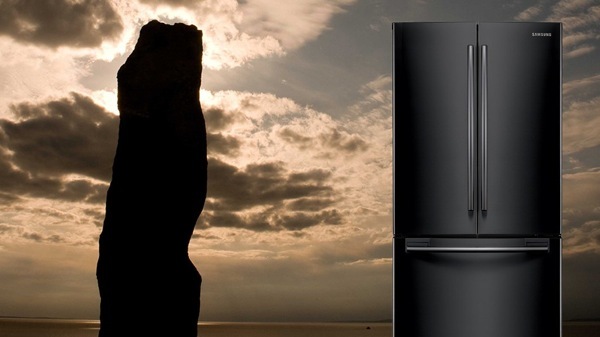 Here, Denny performs a prank he has been known for in the past: storing garbage in the smart fridge – or in other words, the gallery. Mobilizing creativity to repackage and sell the sad relic – his “Decommissioned Trading Table/Workstation” functions as a sort of artistic Rettungspaket (rescue package) that ingenuously cures what the failing economy has transformed into junk by putting it back to work in the orgone accumulator of an art gallery. After their collapse on opening night, the painting reliefs were back to a marching regiment formation in the center of the room, just in front of the disassembled trading table. If these hot canvases – hot in both the McLuhan-esque and “market” senses of the word – could catch on fire, they would burn like ice. 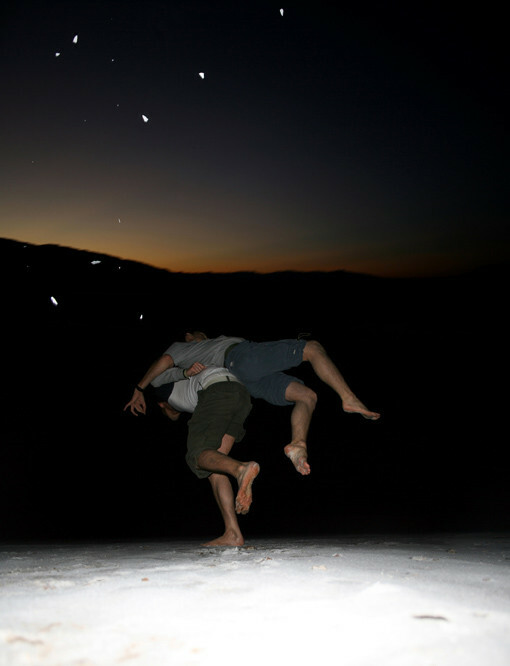 Astutely directed by Denny, their invisible ballet exuded a sense of optimism. When screens and markets freeze, art still works. In May 2013, footage emerged in the media of a man waving a bloodied meat cleaver in the air whilst reciting the mantra to the camera: ‘You [people] will never be safe’. The phrase formed part of a political message delivered in the style of a home video to the British public by the man who, along with one other, had hacked a British soldier to death on the streets of Woolwich just moments before. The footage was threatening, macabre and darkly arresting; its rapid dissemination on the Internet pointed to a grim, voyeuristic fascination with the brutal crime and its motivations. It is this interaction of human events with the complex machinations of technology that appears to fascinate collaborators Pasquale Pennacchio and Marisa Argentato. 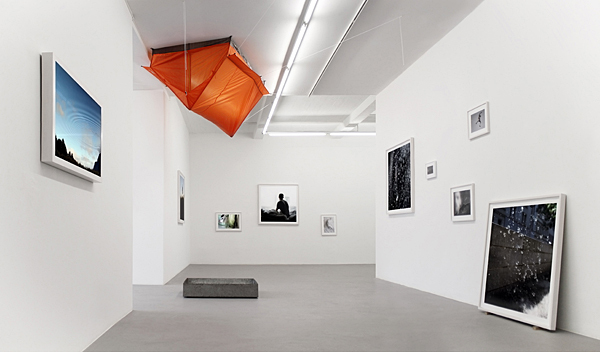 The two artists wrenched the phrase ‘you will never be safe’ from this context as part of their exhibition ‘Survival Upgrade’ and hung it in the centre of Van Horbourg, a non-profit curator’s collective operating within a temporary art space in Zurich run by founders and co-directors Sandra Oehy and Roger Meier. Far from the original setting of the crime, the sinister words were objectified by the artists, who frequently use the technologies of fabrication and projection to attempt to engage with the hypnotic and transformative powers of technology. Pennacchio Argentato cut the words out of Perspex with a light-transmitting film on one face. Behind this, a projector was set up at a distance to transmit swirling fractal images through the Perspex and onto the front surface of the text. The overall effect was that of gaudy kitsch, visually arresting when you first enter the space and face the text, but less convincing as you move around and to the rear of it. This was largely due to the material itself, which is flat and flimsy, slightly undermining its own apparent status as the centrepiece of the exhibition. The flatness of the material did however have one curiously confounding effect, which was to negate the very depth of the images projected onto it. 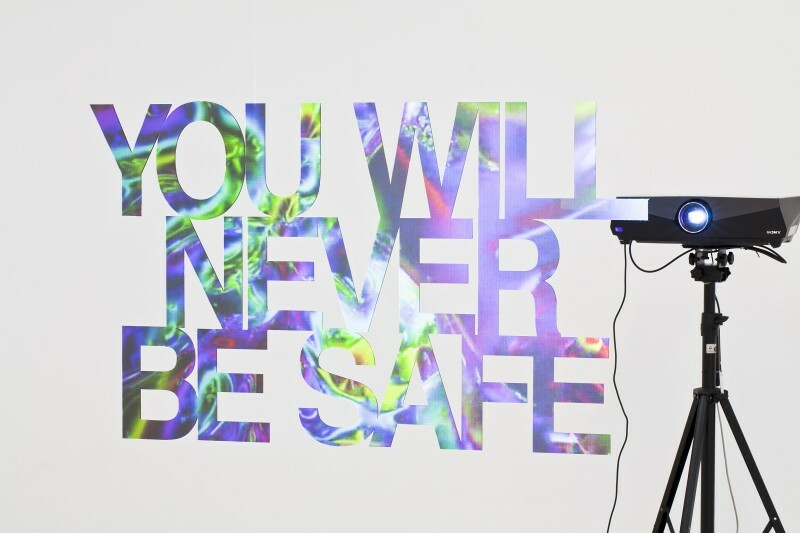 By turning the freestanding words into a screen upon which the abstract receding fractals were projected, the artists managed to debunk any conventional optical illusion of depth commonly associated with filmic projection, or indeed with any projection onto the solid wall of a gallery, because in this case the audience could walk behind the ‘screen’. The projection, in other words, was revealed for the ruse it really is, while at the same time the words lost their meaning in deference to the hypnotic optical effects they have become a latent surface for. 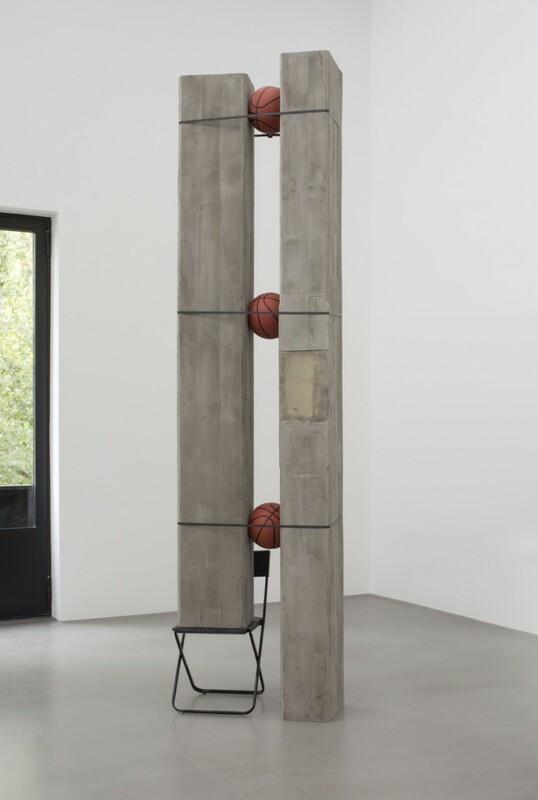 In past exhibitions, notably ‘Five o’clock shadows’ at T293 Gallery, Rome in 2010 and the group show ‘Where Language Stops’ at Wilkinson Gallery in London in 2011, Pennacchio Argentato have exhibited immense planar forms cast from concrete, wood and fibreglass that slide, fold, slither or droop lazily across the floors and walls of galleries. But in the second part of ‘Survival Upgrade’, the artists’ almost comically anthropomorphic sculptures were reinterpreted as prosthetic human limbs cast out of Carbon-Kevlar, a material favoured by the US army for the manufacture of soldiers’ combat helmets and other protective gear. This is a new material for the artists, who have previously worked with cast concrete and Perspex, yet the experiment seems successful. The Carbon-Kevlar appears both sleekly organic and awkwardly mechanistic, able to mould itself symbiotically with the human body whilst retaining the appearance of a hard, shiny shell, cast off like the plasticized robotic detritus of some future world in which the technological extension of the body has already outlived its usefulness. These apparatuses occupied the periphery of the space in which the text formed the centrepiece, yet they were by no means secondary to it. Flung to the edges of the white room by some centrifugal force, either adhering to the walls or scattered about the floor for the viewer to pick his or her path between, the prosthetic limbs were rendered as junk, as the bodies they were made for have evolved – or mutated. Pierre Huyghe (born 11 September 1962) is a French artist who works in a variety of media from films and sculptures to public interventions and living systems. 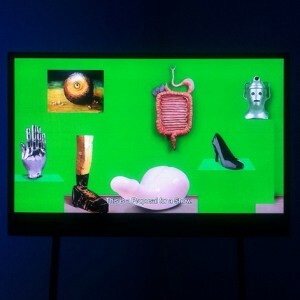 Describing his work can often be an exercise in frustration, bringing to mind the poet John Ashbery’s observation about Roussel, an important influence on Mr. Huyghe: that trying to summarize Roussel’s “mad wealth of particulars” was like trying to “summarize the Manhattan phone book”. 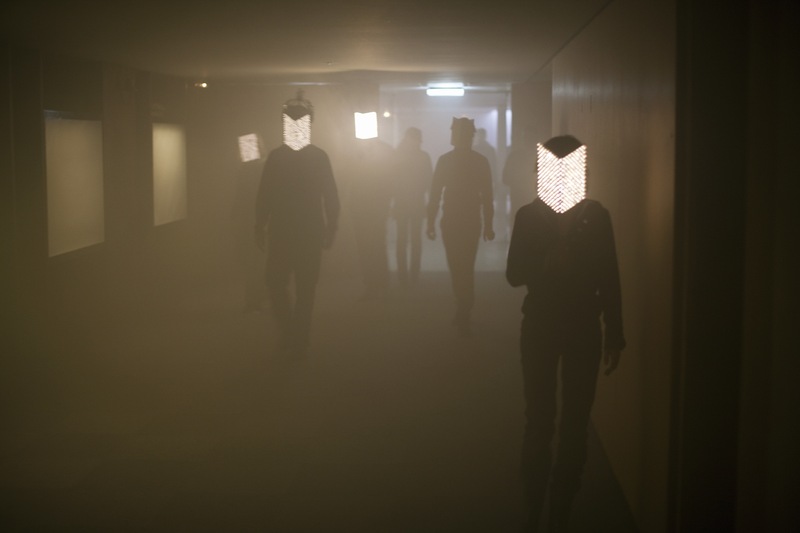 Pierre Huyghe has long loved “Locus Solus,” Raymond Roussel’s 1914 novel about an inventor who invites friends to a secluded estate to show off his creations, one of which is a tank filled with cadavers that re-enact the most important moments of their former lives, animated by a miraculous substance called resurrectine. Huyghe has been working with time-based situations and has explored the exhibition process from the 90’s. His works imply such diverse forms as living systems, objects, films, photographs, drawings and music. In recent years, he has created self-generating systems, including living entities and artifacts, in which emergence and rhythm are indeterminate and exist beyond our presence. 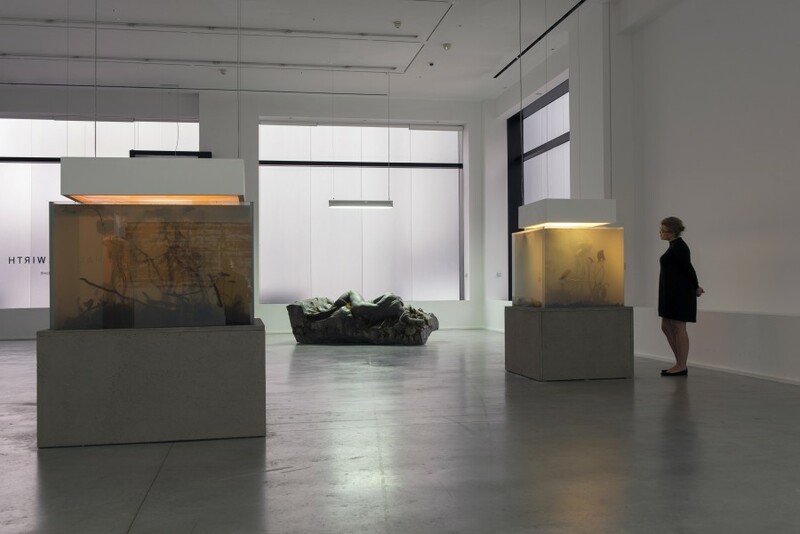 Taking the exhibition and its ritual as an object in itself, Pierre Huyghe has worked to change the paradigm of this encounter, exploring the possibility of this dynamic experience. He has had numerous international solo exhibitions at such venues as the Los Angeles County Museum of Art, Los Angeles (2014); the Museum Ludwig, Cologne (2014); the Centre Pompidou, Paris (2013-2014); the Museo Tamayo Arte Contemporaneo, Mexico City, Mexico (2012); Museo Nacional Centro de Arte Reina Sofía, Madrid, Spain and the Art Institute of Chicago, Chicago, IL (2010); Tate Modern, London, England (2006); Moderna Museet, Stockholm, Sweden and the Irish Museum of Modern Art, Dublin, Ireland (2005); Castello di Rivoli Museo d’Arte Contemporanea, Turin (2004); the Solomon R. Guggenheim Museum, New York and DIA Center for the Arts, New York (2003); the Van Abbemuseum, Eindhoven (2001); the Museum of Contemporary Art, Chicago (2000); and the Musée d’Art Moderne de la Ville de Paris (1998). He has also participated in a number of international art shows, including documenta XI (2002), XIII (2012); the Istanbul Biennial (1999); the Carnegie International, Pittsburgh (1999); Manifesta 2, Luxembourg (1998); the 2nd Johannesburg Biennial (1997); and the Biennale d’Art Contemporain de Lyon (1995). Born in 1975, Oscar Tuazon grew up outside Seattle, coming of age watching bands like Mudhoney and Nirvana. Having graduated from the elite Independent Study Program at New York’s Whitney Museum in 2003, he cut his teeth working for renowned extremist Vito Acconci, a performance artist and poet-turned-architect. After moving to Paris in 2007, Tuazon set up the gallery castillo/corrales with a group of artist and curator friends, and the past three years have seen his constructions of wood and concrete take over exhibition spaces across Europe. Inspired by what he calls “outlaw architecture”, Tuazon channels the freethinking of hippy survivalists who decide to go off-grid. Comprised of a combination of natural and industrial materials, the sculptures and installations of Oscar Tuazon reference minimalist sensibilities, extreme do-it-yourself aesthetics and vernacular architecture. His works maintain an improvised, precarious quality that draws upon his long-standing interest in how the built environment is redefined and redesigned by the act of inhabitation. Oscar Tuazon lives and works in Los Angeles. Lynda Benglis (born October 25, 1941) is an American sculptor known for her wax paintings and poured latex sculptures. After earning a BFA from Newcomb College in 1964, Benglis moved to New York, where she lives and works today. 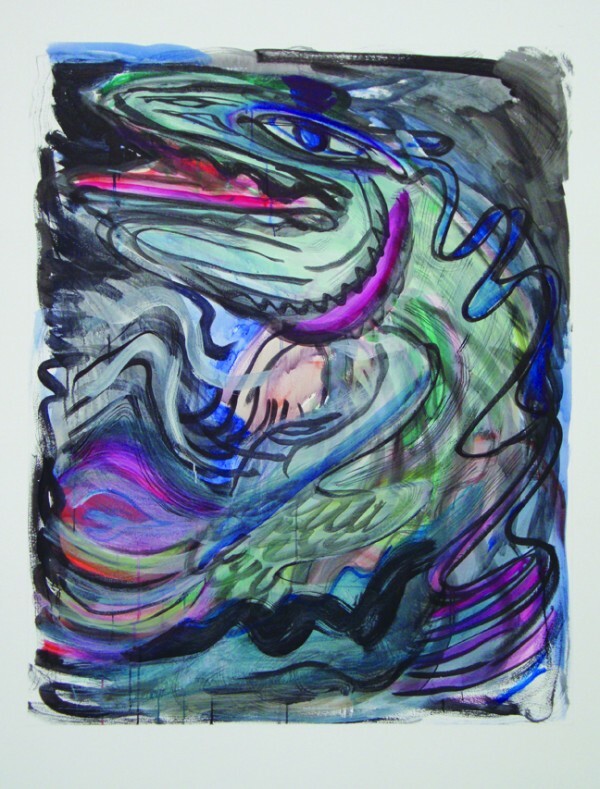 Benglis’ work is noted for an unusual blend of organic imagery and confrontation with newer media incorporating influences such as Barnett Newman and Andy Warhol. Her early work used materials such as beeswax before moving on to large polyurethane pieces in the 1970s and later to gold-leaf, zinc, and aluminum. The validity of much of her work was questioned until the 1980s due to its use of sensuality and physicality. 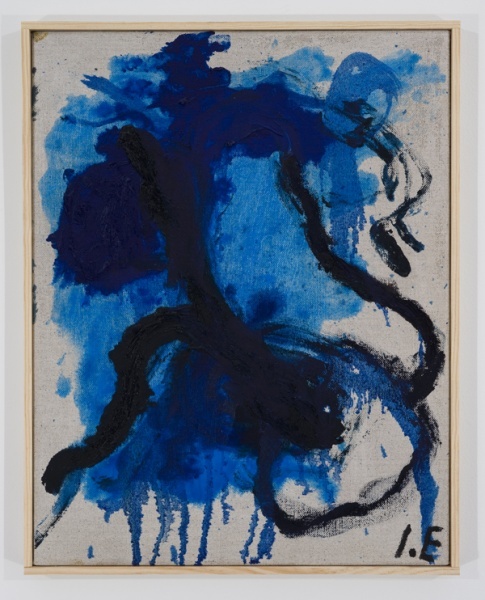 Like other artists such as Yves Klein, Benglis’ mimicked Jackson Pollock’s flinging and dripping methods of painting. Works such as Fallen Painting (1968) inform the approach with a feminist perspective. For this work, Benglis smeared Day-Glo paint across the gallery floor invoking “the depravity of the ‘fallen’ woman” or, from a feminist perspective, a “prone victim of phallic male desire”. These brightly colored organic floor pieces were intended to disrupt the male-dominated minimalism movement with their suggestiveness and openness. In 1971, Benglis began to collaborate with Robert Morris, creating Benglis’ video Mumble (1972) and Morris’ Exchange (1973). 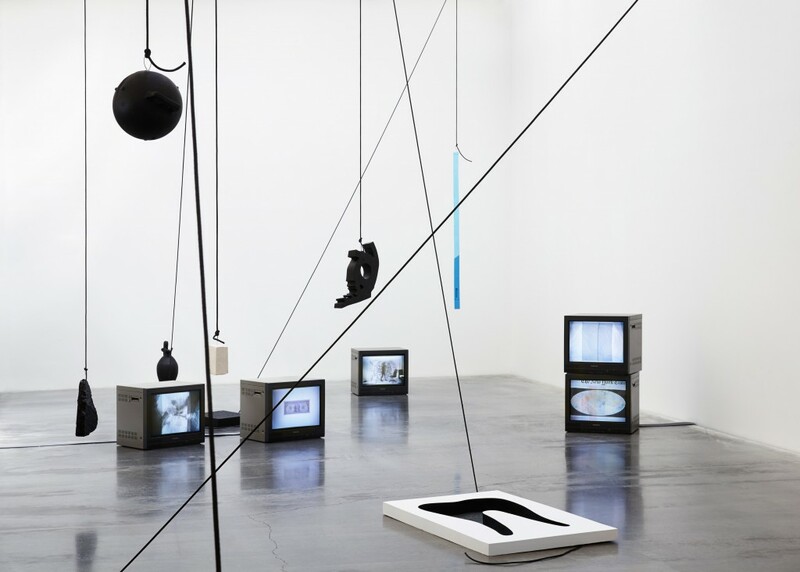 Benglis produced several videos during the 1970s in which she explored themes of self-representation and female identity. Like other female artists, she was attracted by the newness of a medium that was uncorrupted by male artists. 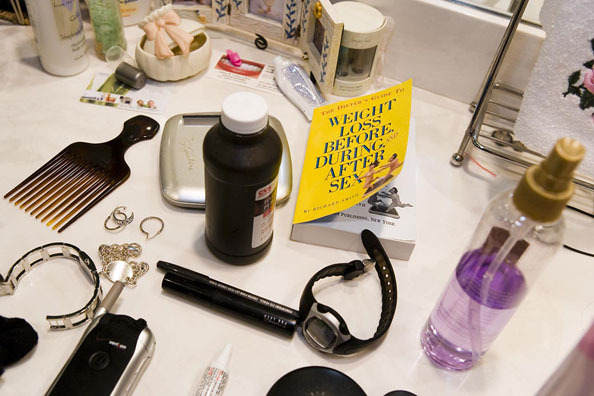 The structure of the new medium itself played an important role in addressing questions about female identity in relation to art, pop culture, and dominant feminism movements at the time. Benglis produced several videos during the 1970s in which she explored themes of self-representation and female identity. Artist Nikolas Gambaroff work questions the process of painting and its support structures by deconstructing and re-evaluating traditional methods of production and display. Works that ostensibly echo the age-old impetus of subjective self-expression are, therefore, conceived as platforms through which to question notions of authorship, distribution and exposition alongside issues such as the social and economic value of art itself. The introduction of elements from ‘outside’ the traditional compass of painting provides further opportunities to deconsecrate and demystify painterly production in order to debate the mechanisms that confer artistic status. McCracken occupies a singular position within the recent history of American art, as his work melds the restrained formal qualities of Minimalist sculpture with a distinctly West Coast sensibility expressed through color, form, and finish. He developed his early sculptural work while studying painting at the California College of Arts and Crafts in Oakland in the late 1950s and early 1960s. While experimenting with increasingly three-dimensional canvases, the artist began to produce objects made with industrial materials, including plywood, sprayed lacquer, and pigmented resin, creating the highly reflective, smooth surfaces that he was to become known for. Drawn primarily from public and private collections, the approximately fifty works in this exhibition chart the evolution of McCracken’s diverse but considered oeuvre. Encompassing both well-known and lesser-seen examples of the artist’s production from the early 1960s up through his death in 2011. 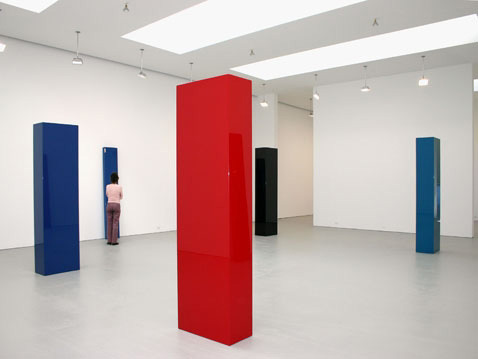 Highlights from the exhibition include a room-size installation of six monumentally scaled black columns, a layout introduced by the artist in his sketchbook in the early 1970s, but first produced and shown at David Zwirner in 2006; as well as an adjacent room containing stainless steel sculptures from 2011, which are polished to produce such a high degree of reflectivity that they seem translucent and camouflaged, bordering on invisibility as they reflect their surroundings. A number of works from the 1960s, when McCracken first emerged onto the Los Angeles art scene, are included in the exhibition, such as Untitled (1964), a cross-shaped hybrid form that vacillates between painting and sculpture; three multi-colored rectangular “slot” works, a form that McCracken first exhibited in his seminal 1965 solo show at Nicholas Wilder Gallery in Los Angeles; as well as several of the artist’s earliest “planks,” his signature sculptural form that he first generated in 1966 and continued to make throughout his career. 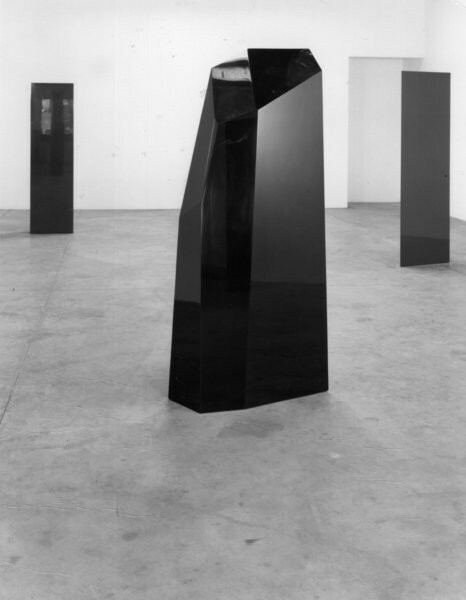 These narrow monochromatic, rectangular board-shaped sculptures lean against the wall while simultaneously entering into the three-dimensional realm of the viewer. Also on view is Untitled (2011), the last plank that McCracken made in his lifetime, which is fabricated in stainless steel. In 2015, the Orange County Museum of Art in Newport Beach, California will host a retrospective of McCracken’s work. Through paintings, collages, books, and ceramics, Josh Smith challenges the ideas of the artist. In forcing the painted image to be somewhat arbitrary, he has managed to take the act of painting beyond aesthetics. Smith’s early training in printmaking is often the spur which drives his art making. Many of his paintings start with the artist’s name or a fish or leaf motif as a point of departure, but they typically eschew formal representation in favor of an exploration of abstraction. 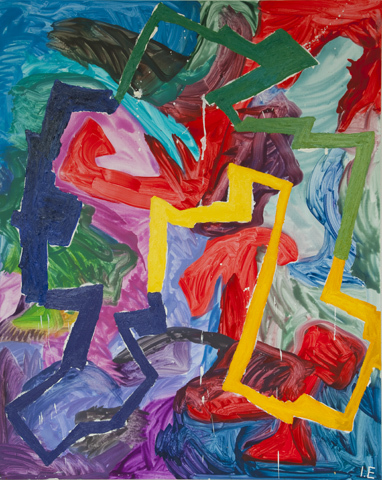 Other works, such as his palette paintings, are purely abstract and explore the notion of composition created by chance. In his mixed media collages on plywood, subway maps, take-out menus, newspapers and street posters are combined with reproductions of Smith’s existing works as well as silk-screened text and original painting. Smith intersperses the manufactured with the handmade and elevates found materials by virtue of inclusion. He makes art so he can look at it. Born in 1976, Josh Smith is from Knoxville, Tennessee. He has had numerous solo exhibitions. He lives and works in New York. 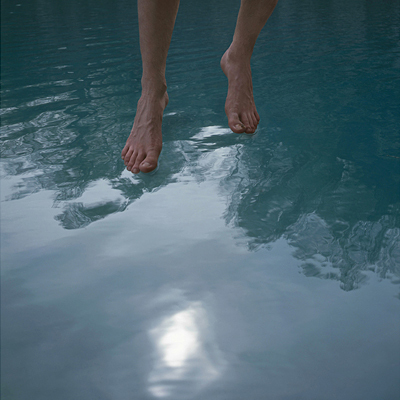 Ahmed Kamel is interested in domestic and urban life. He uses photography, video and drawing to address social issues. He was born in Cairo, Egypt in 1981, where he studied painting and received his BFA in 2003. 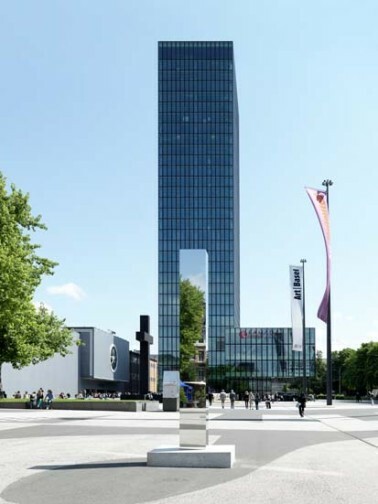 Kamel is the recipient of a number of residencies including “Mediamatic” Amsterdam, Netherlands, “Prohelvetia”, Bern, Switzerland, “Land NRW”, Dusseldorf, Germany and “Amongst Neighbours”, Istanbul, Turkey. He has participated in various solo and group exhibitions in the middle east and Europe. His work is mainly concerned with how society constructs and idealizes its identity through means of visual representation that can act as markers of peopleʼs social and cultural background. Wael Shawky’s work explores transitional events in society, politics, culture and religion in the Arab World. The films, installations, and performative works of the Egyptian artist explore the ways in which social and political systems have been restructured in Arab countries over the past several decades. Through restaging historical events with children and marionettes, Shawky turns cultural hybridization into a narrative and aesthetic strategy. Using displacement and alienation in content and form, he creates a transitional space between documentation, fiction, and animation. Lovingly and meticulously produced settings and costumes, a wealth of literary and historic references, and astutely selected music come together to create extraordinarily multifaceted films that invite us to think about history and the present day in new ways.